A scratchy, irritated, sore throat is one of the most common problems treated by FastMed Urgent Care providers. Depending on the cause, your sore throat may be just a minor setback, or it could be a sign of a more serious illness, such as strep throat. In rare cases, a sore throat can be considered an emergency. If you or someone in your care experiences difficult breathing, drooling, and significant difficulty swallowing, visit a hospital ER immediately. Otherwise, your sore throat can be treated at any FastMed Urgent Care. We are open seven days a week, 365 days a year, with no appointment necessary. What Causes a Sore or Strep Throat? The typical sore throat is also known as pharyngitis. It may be accompanied by scratchiness, difficult or painful swallowing, tonsil swelling, and hoarseness. It can also be associated with body aches, headaches, fever, chills, runny nose, nausea, and vomiting. Most sore throats are caused by a viral infection, such as a cold or the flu. Other viral infections causing sore throats include the measles, chickenpox, croup, and mononucleosis—an infectious disease transmitted via saliva. In the case of a bacterial infection, the most likely causes are strep bacteria, diphtheria, or whooping cough—an infection of the mucous membranes. Other causes can include environmental factors, such as allergens or other illnesses. In addition to a sore, scratchy throat, sore throat symptoms may include difficulty swallowing, fever, hoarseness lasting longer than one week, soreness for longer than one week, earache, difficulty opening your mouth, a rash, or lump in your neck. These more-serious symptoms should be evaluated by a hospital ER. Strep throat shares many of the same symptoms as the typical sore throat, but in this case, the soreness is caused by a type of bacteria called streptococcus. 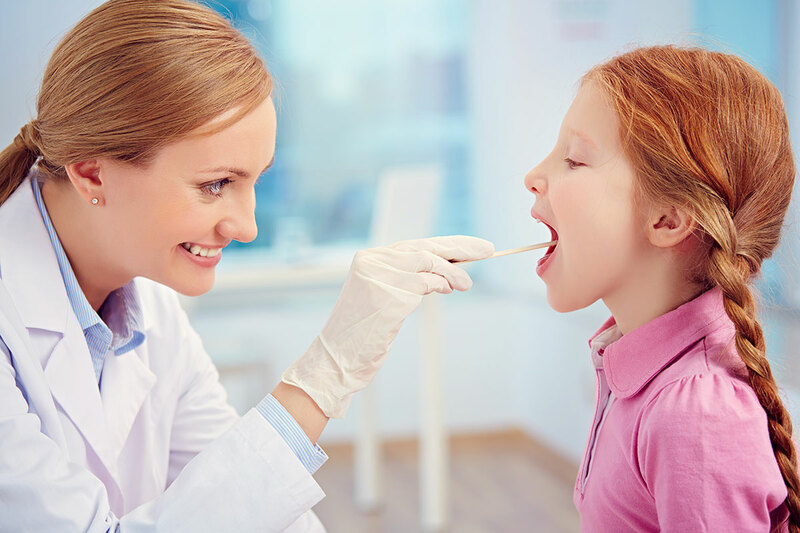 The pain of strep throat often feels much like a sore throat caused by other illnesses, but strep throat can result in serious complications. For this reason, it is important to have any sore throat that lasts longer than one to two days evaluated by a FastMed provider. If it turns out to be caused by the strep bacteria, a course of antibiotics may be required. The usual sore throat remedies are insufficient for strep throat treatment or soreness caused by bacteria. If your FastMed provider determines that your sore throat is caused by strep or other bacteria, you most likely will be prescribed antibiotics. Make sure you continue the full course of antibiotics, even if you feel better after a few days. This will prevent the bacteria from returning, as well as the development of drug-resistant bacteria—a growing worldwide problem. In general, if your sore throat lasts longer than one to two days, or is accompanied by other symptoms, such as joint pain, difficult breathing, abdominal pain, rash, or fever, you should seek medical care at your nearest FastMed location. FastMed Urgent Care prides itself on fast, efficient, and cost-effective care for sore throats from many causes. Our team of highly qualified medical professionals, located at all FastMed clinics, is ready to serve you. We can evaluate your sore throat and other symptoms, and tailor treatment specific to your condition, or even provide medications on site, when available. All FastMed locations are open 365 days a year, with extended hours. If you experience a sore throat, visit your local neighborhood FastMed Urgent Care for convenient, professional, and affordable care, with no appointment necessary.